Bihar Police Constable Admit Card 2017 www.csbc.bih.nic.in: Central Selection Board of Constable (CSBC) has issued admit cards of the Bihar Police constable examination at website www.csbc.bih.nic.in. Bihar Police Constable exam will be held from 15th October to 22nd October 2017. There is a facility to avail the duplicate admit card from October 10 to 12, 2017. The candidates will have to submit a photocopy of the application confirmation page. Candidates should carry the admit card and a relevant photo ID like Aadhaar card or election card to avoid any last minute hassle. Thousands of candidates have applied for the exam that will be held to fill 9,900 posts in the Bihar police for both male and female. 5. Download Your admit card would be displayed on the screen. Candidates are advised to save a copy and take a print out as well. Bihar Police Constable Exam pattern: In the 100 marks exam, objective type questions will be asked. The syllabus will be of 10+2 standard. The exam duration is two hours. 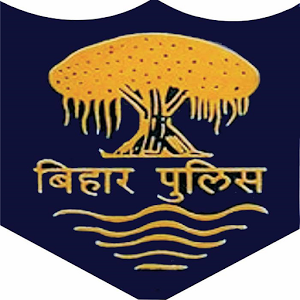 The Bihar police constable recruitment exam will be held in two sessions on October 15. The first session will begin at 10 am to end at 12 pm while the second session will start at 2 pm to end on 4 pm. There will be one morning session on October 22. Candidates have to report to the exam centre at 9 am, that is, an hour before the exam time. © 5916 Bihar GK. All rights reserved. XHTML / CSS Valid.